Late in the season in my cool, northern European climate, I have only a few options. There are just three types of green manures up to the job: legumes such as winter field beans, forage peas and vetch (aka winter tares); mustard, which is a plant of the cabbage family; and grazing rye (Latin name Secale cereale). Lucky gardeners in milder areas can add phacelia and clovers to their list of autumn-planting green manures. It's important to note that legumes only fix nitrogen when the soil temperature is above 8°C (46°F), so they may be less effective where winters are cold. Nonetheless, they will provide some protection for the soil, although mustard or grazing rye is more effective for this purpose. 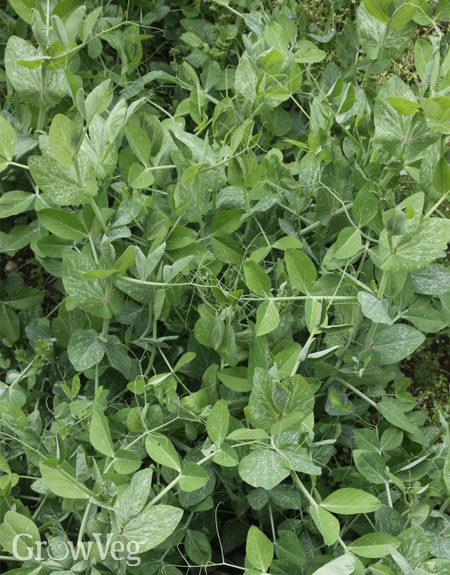 Legumes are fairly trouble-free, so using them as an overwintering crop does not normally cause problems within a crop rotation. Grazing rye and phacelia are useful green manures that don't belong to any of the common crop families we gardeners use, so they shouldn't compromise a crop rotation scheme. Phacelia has to be sown quite early in many areas to allow it to establish, and it won't survive a cold winter. Grazing rye on the other hand can be sown later than any other green manure, making it invaluable for following on from autumn harvests. Grazing rye has several other benefits. Above ground, it produces a dense canopy of foliage that helps keep weeds in check. Below ground, it has an extensive, fibrous root system that loosens soil, laying the groundwork for root crops such as carrots and parsnips to follow. 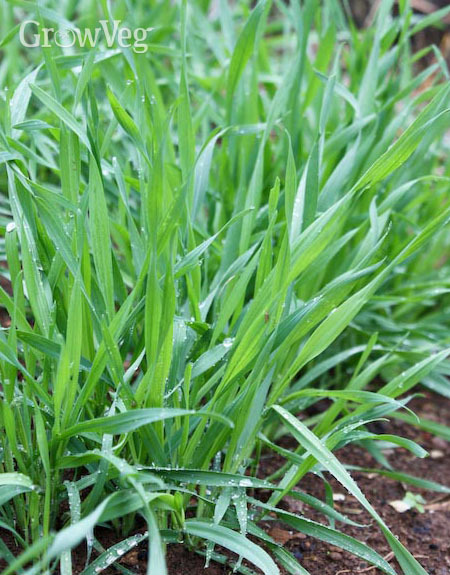 Grazing rye is unsurpassed among green manures in its ability to hold onto soil nitrogen, refusing to let it leach away, before releasing it gradually for the next crop once it's dug in. It's important to cut grazing rye down at the right stage – too early and it may regrow (some gardeners cover it with black plastic after digging it in to help kill it off), while too late and it will produce a lot of dry material that's slow to decompose.